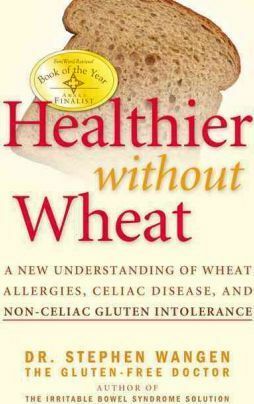 This is the leading resource for discovering your wheat allergy or gluten intolerance. For millions of people, bread, pasta, and many other foods are bad for their health. Thousands of people have already come to their own realization that they are healthier without wheat in their diet, but it can be difficult to figure out when most doctors aren’t knowledgeable on the topic. This book provides validation for what these people have discovered, and explains how you too can determine whether or not wheat and gluten are making you sick. In Healthier Without Wheat you learn the difference between celiac disease, non-celiac gluten intolerance, and wheat allergies. You will discover how hundreds of health problems are connected to wheat and gluten reactions and why sorting this out on your own can be more difficult than you might think. You will also discover how you can be gluten intolerant even if you don’t have celiac disease, and why non-celiac gluten intolerance can be just as severe as or more severe than celiac disease. You will also learn how to determine if your infant or child reacts to wheat or gluten. Healthier Without Wheat also covers nutritional deficiencies commonly seen in gluten intolerance, and equally important, what to do if you are avoiding gluten but not getting better. You should read this book if you or someone you know suffers from any of the following: abdominal pain, chronic anemia (iron deficiency), arthritis, autoimmune diseases, constipation, depression, diarrhea, eczema, fatigue, fibromyalgia, frequent illness, headaches, heartburn, hypoglycemia, irritable bowel syndrome, irritability, migraines, or osteoporosis.